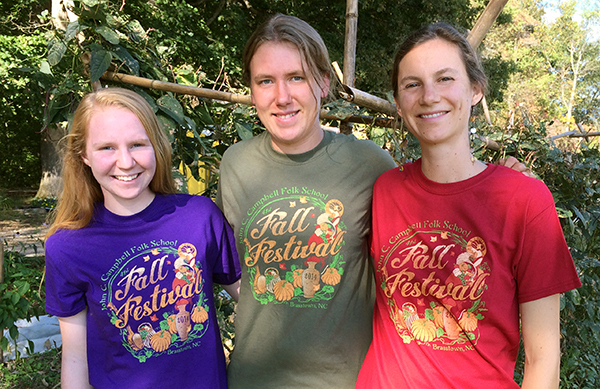 Check out Work/Studies Hannah & Cara and Student Host Laura modeling our 2014 Fall Festival shirts in Purple, Military Green, and Cardinal. 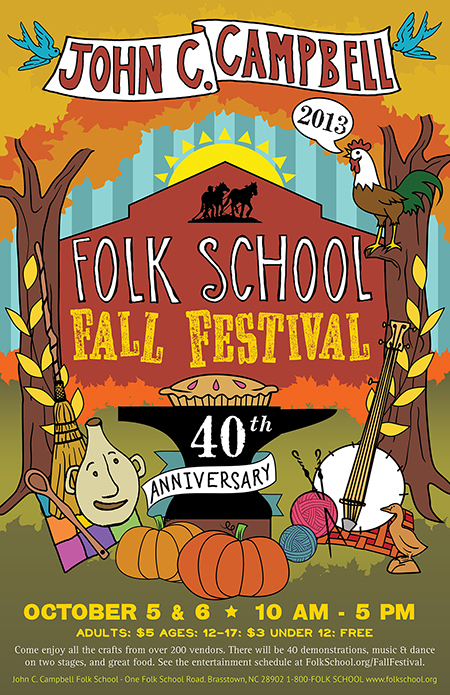 Pick up your Fall Festival 41st Anniversary shirt at the Folk School’s Festival Barn booth. Short Sleeve – $15 Long Sleeve – $25 Available in a wide variety of colors and adult sizes (while supplies last). Not available online. 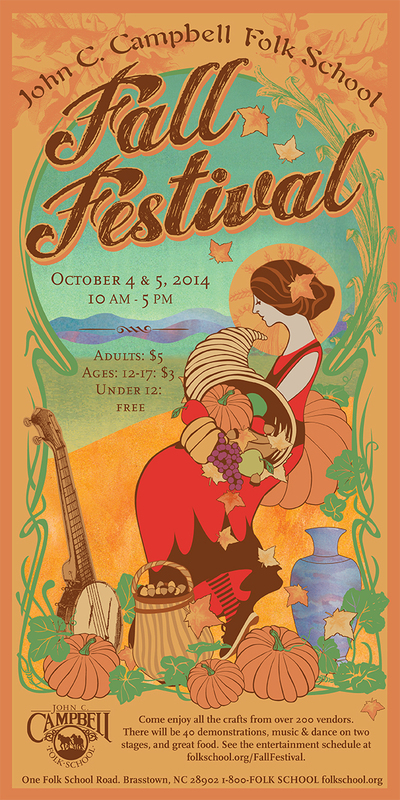 Presenting our new Fall Festival Poster for 2014! 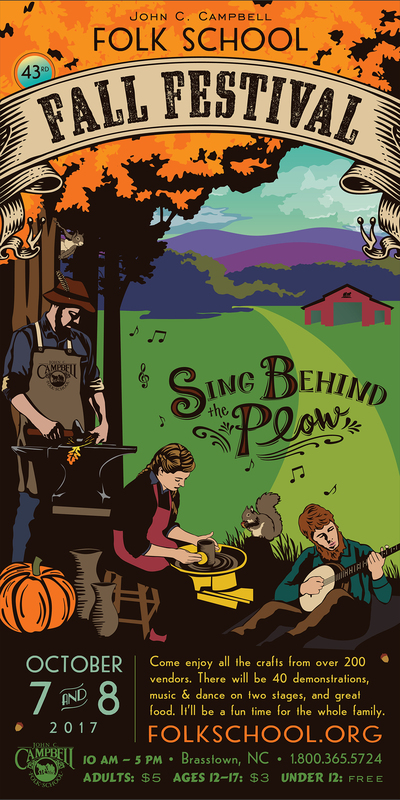 The image celebrates the bounty of the fall harvest with a young banjo pickin’ gal sitting in a pumpkin patch. She holds a cornucopia, a symbol of abundance, overflowing with riches of the land. 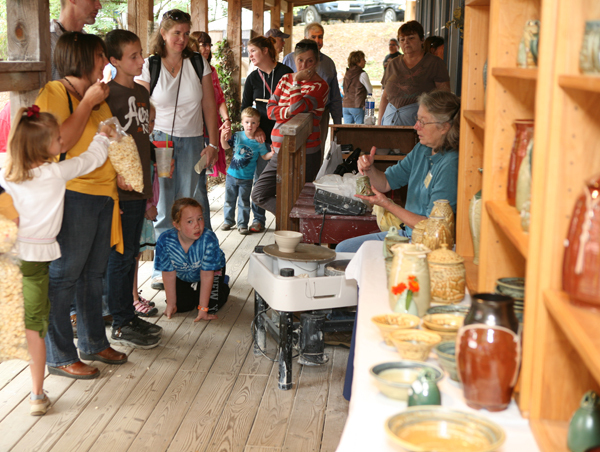 The two vessels, a clay vase and a hand woven basket, harken to the union of the form and function found in many crafts created at the Folk School. 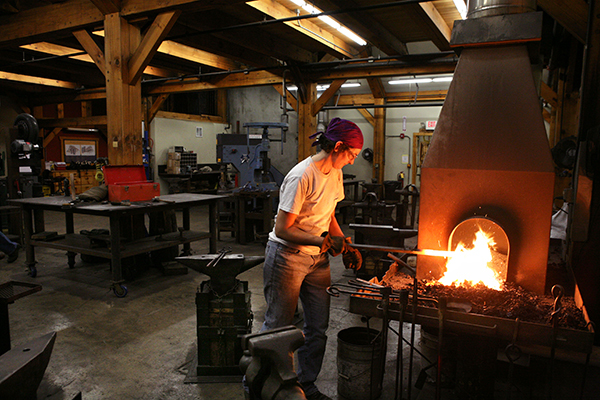 The style of our fall maiden is inspired by Dame’s Rocket Clog Morris. 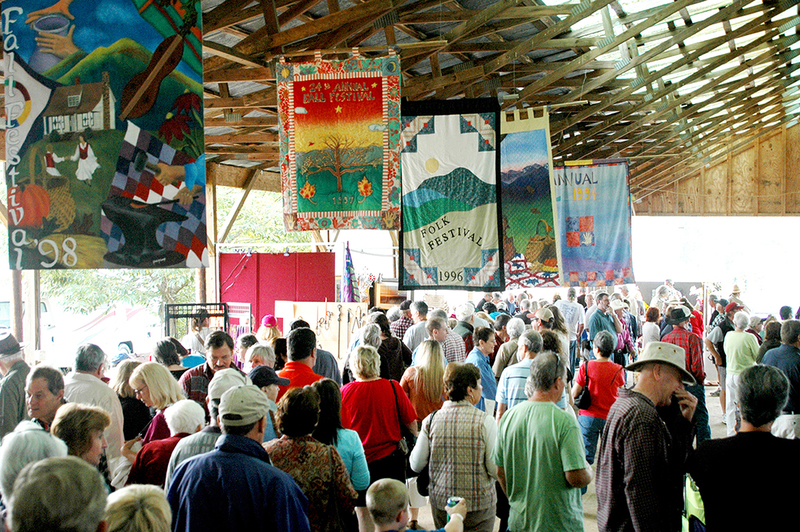 The Folk School Appears on Singing Stitches Blog! 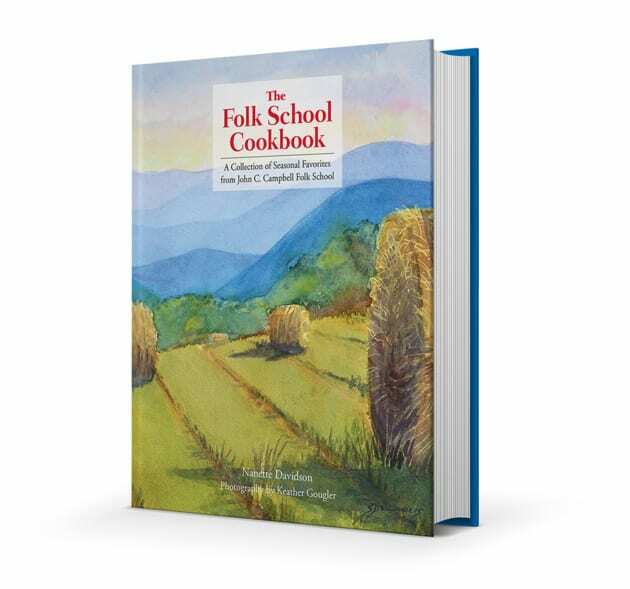 Fall Festival is in sight! 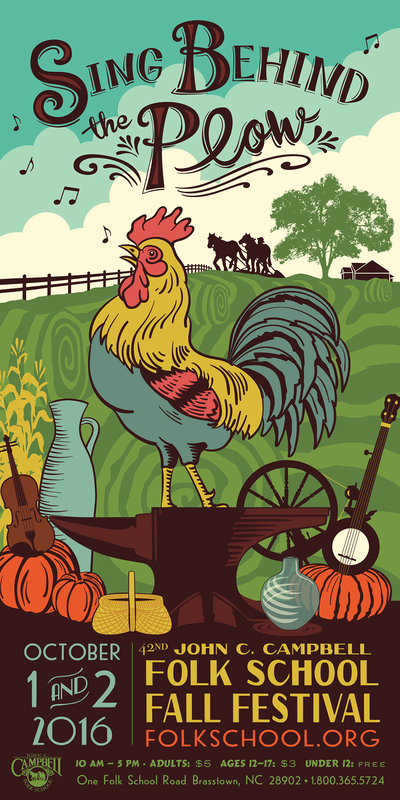 Our new 2013 Fall Festival Poster arrived this week… Remember to save the date Oct. 5-6, so you can join in the fun at our biggest event of the year! 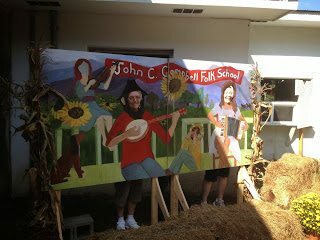 Visit our Fall Festival Page for more information.